Buses are a necessary component of any city’s transportation network. Of course, our children ride them to go to and from school. We might depend on them to get to and from work, but buses are also chartered for groups attending events, getting to and from airports or even interstate travel. Regardless of how inexpensive and convenient that riding on a bus might be, they might become a hazard to passengers, pedestrians, bicyclists and drivers of other motor vehicles. If you have been injured in any type of bus accident, you will want to retain an experienced and effective bus accident attorney right away. Driver negligence like speeding or failing to yield the right-of-way. Driving too fast for weather or traffic conditions. Driving a bus that is too tall to travel under a bridge. Driving under the influence of alcohol, drugs or both. Driving with inadequately maintained brakes or tires. Bus crashes can also be attributable to the negligence of the drivers of other vehicles. Bus passengers have little or no visibility ahead of the bus, and most buses are not equipped with seat restraint devices. Many designers rely on the seat ahead of passengers to keep them from being thrown about in a crash. Those are ineffective should a bus roll-over, and passengers can even be ejected from the bus itself. Since the owners and operators of bus companies charge a fee to travel on their buses, they are regulated at the federal, state and municipal levels. Although the regulations might be confusing, bus companies that charge passengers a fee must operate with the highest degree of care and caution for the safety of their passengers. A breach of that duty coupled with injuries or fatalities can be considered negligence. An experience bus accident attorney can help navigate through the complexities of bus accidents. Keep the fact in mind that if your child is injured in a crash involving a school bus, other Texas laws might be triggered. Pursuant to the section 101 of the Texas Civil Remedies and Practices Code, in the event of a catastrophic injury or a death, strict damages limits might apply. Depending on what governmental entity that you might be intending on suing, you must also provide written notice of intent to sue to the proper official at the proper agency on a timely basis. The time limit might be as short as 45 days with a maximum of six months. Any defects in the notice can cause a perfectly legitimate lawsuit to be forever dismissed. As soon as you retain us in a Texas bus accident, a bus accident attorney from the Law Offices of David Kohm will immediately commence an investigation into the accident that you or your family were involved in. We’re excellent investigators and respected litigators. Rather than give any type of a statement to the owner or operator of the bus that was involved in the crash, contact our offices and arrange for a free consultation and case evaluation. Call our law offices today at any of our convenient locations and arrange for that free consultation. 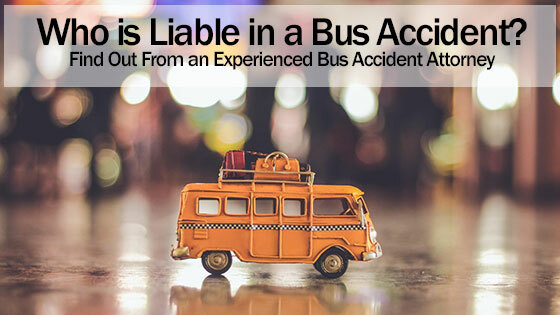 Who is Liable When You are Injured as a Passenger on a Bus? A Bus Accident Attorney Explains. Car Accidents Involving Public Buses and How an Attorney Can Help?